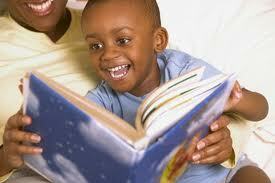 A great reading tutor can jump start your child's curiosity and love of learning. Here’s the scoop on what you need to know about them and how to hire one. When choosing a person to help you or your child one-on-one, it’s important to remember that reading is a foundational skill that will affect every aspect of your child's education and professional life. Finding a tutor who really knows how to teach the subject is important. Ask your prospective tutor about annotation, sectioning, and talking to the text. Find out how he or she teaches reading specifically, and don't forget to ask about track record. I've partnered with Wyzant to provide you with an incredible database of 40,000 verified professional tutors. Simply enter your subject and zip code, and you'll be on your way. Because we all know how to read, it’s easy to think anyone can tutor reading. Nope! What should you look for? In a word, expertise. Many universities offer special courses in reading education, certificate programs, etc. Find a tutor who has some training in teaching reading specifically. Look for someone who has completed some kind of formal education training in the subject. I routinely teach reading to college students. That means I show them how to take notes on texts, get the most meaning out of what they read, and manage their reading time. That’s for adults, and with training I’ve managed to do it just fine. Now, what if my students were six years old? I’d be clueless. The same is true for most English teachers, and especially professors. We are trained most in teaching writing and literature, not (usually) in the building blocks of reading. So, if you’re a parent evaluating sources of help for your child, find someone who has age-appropriate expertise. If you’re a college student overwhelmed with academic texts, don’t despair. Ask around at your college or university for help. If none is available, ask your professor, the chair of your English department, and/or the English department secretary for referrals. How much will a reading tutor cost? I've prepared a special page on rates to help you figure that out. Here's my take on what it will cost. Return from Reading Tutor to my English Tutoring page. ...or learn more about how to get help from a tutoring center.